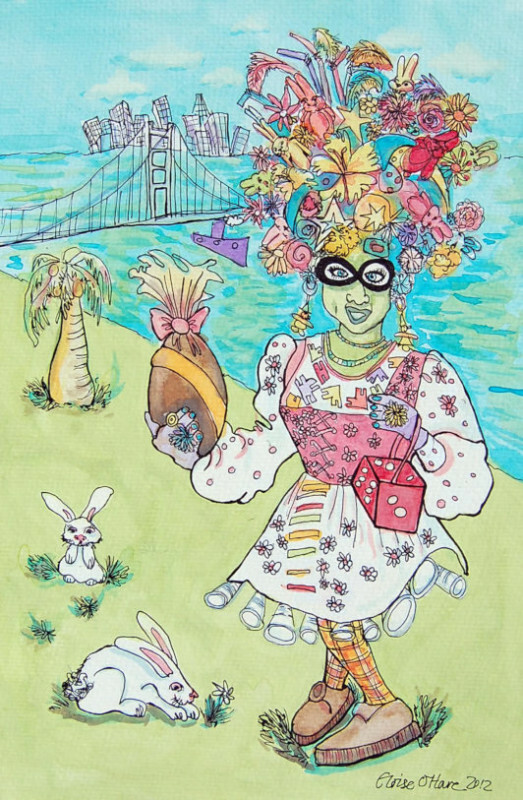 Painting of Mrs Vera, who lives in San Franciso and dresses up in amazingly creative upcycled clothes made from found and unfound objects. In the painting Mrs Vera is wearing an frock made for the Easter Parade. She's holding a dice bag and a chocolate egg, and her hat is a forest of flowers, bunnies, straws, feathers and glitter. With the mount and frame the painting measures 43 x 53cm.